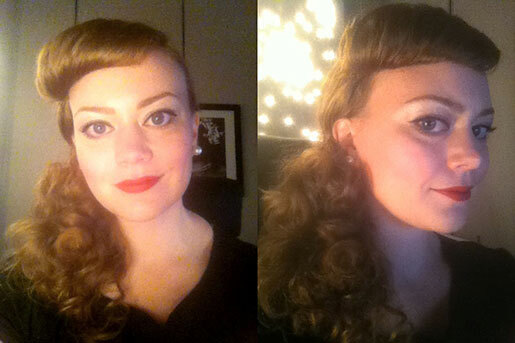 I found a link to a new gadget on the Pinup Girl Style website called Sculpture Pin Curlers. Don't be fooled by the name, it isn't a set of curlers. They are plastic tubes with combs on the ends that help create uniform pin curls. 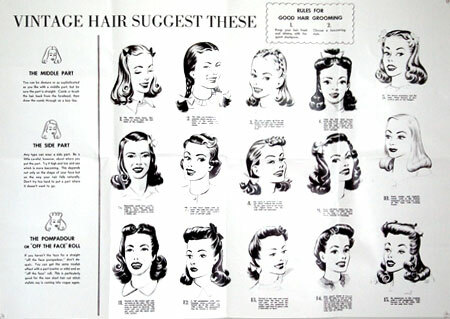 You put the comb at the base of your head and drag it to the ends of your hair, then either roll up or under, depending on the look that you want to achieve. Once you get to the scalp, turn the tube sideways and pop the curl off the end and secure with a bobby pin. You may not think that having a device like this is necessary, but if they don't get you with the tool itself, the packaging pulls you in with the pink box and the poster of vintage hair silhouettes. I tried it out myself and found that it may not have cut off much time in the pin curling process, but it did help relieve the stress of trying to make the pin curls the same size and shape. I have a lot of hair and of course the next day when it's time to take out the pins, I am left with a frizzy mess, but with a little patience and a lot of brushing I was able to achieve a decent hair style. I was inspired by a vintage Barbie Doll for this look.